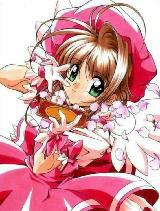 You are going to Watch Cardcaptor Sakura Episode 64 English dubbed online free episodes with HQ / high quality. Stream Anime Cardcaptor Sakura Episode 64 Online English dub Sakura and the Snowy Ski Class, Sakura’s class goes on a field trip to the mountains for skiing lessons. At the lodge, Syaoran admits to Sakura that the person he cares for most is not Yukito, and that his attraction to him was actually his reaction to Yue’s power; however, he still can’t bring himself to tell Sakura that she is the one he’s in love with. The next day, Sakura goes up the mountain with Eriol when a blizzard begins to form. At the top of the mountain, there is an avalanche that threatens to bury the lodge at the foot of the mountain where their classmates are. Sakura transforms the Time card in an attempt to stop the avalanche without Eriol seeing, but it uses up so much of her energy that she passes out. However, Eriol stops the avalanche himself (suggesting he caused it in the first place) and saves Sakura, voicing his reluctance to put her in harm’s way so frequently.